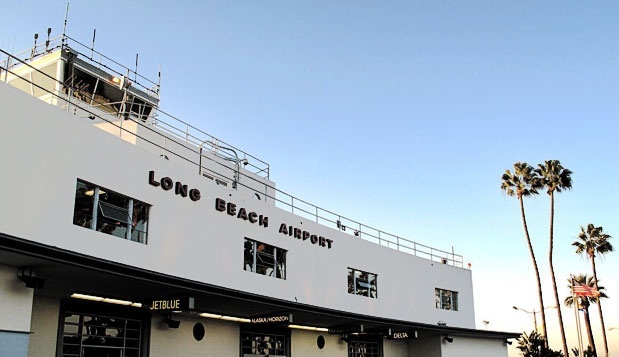 Following a three-year Airfield Geometry Study funded by the Federal Aviation Administration (FAA) and dozens of meetings with various stakeholders, two runways at Long Beach Airport (LGB) are going to be removed, said Reggie Harrison, LGB’s Interim Director. The City Council voted last week in support of eliminating the two airstrips. The removal of runways 16L-34R and 16R-34L, which haven’t been used in three years, is expected to cost approximately $120 million in Airport Improvement Program (AIP) grants and passenger facility charges, which will be implemented incrementally over the next two decades, Harrison said. According to LGB, eliminating the two runways was a decision made to improve the efficiency and the safety of the airstrips and taxiways at the airport, plus their removal will save the airport nearly $1.3 million per year in upkeep. “The removal will allow for new taxiways and possibly opportunities for economic development,” said Harrison. Removing the runways will further LGB’s modernization plans, following the completion of its new terminal in 2012.